Because it’s raining and you really do appreciate him a whole bunch. 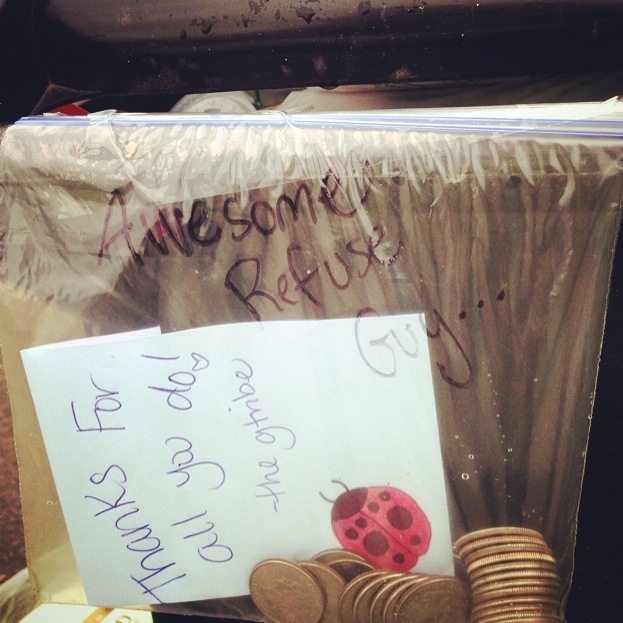 What if, out of allllll those trash cans– *YOU* are the only one who shows him love today. It’s trash day somewhere. Love simple. Because love never feels simple to the one receiving it.